Your helpless friend Peter has been kidnapped and it’s up to you to search through a deserted town in Thailand to save him from the Demon of Darkness. 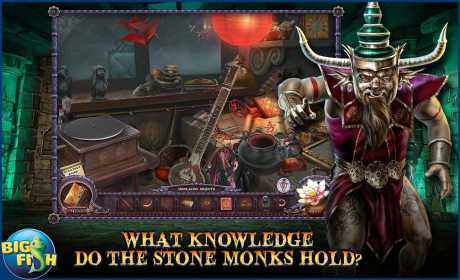 Follow the clues left by stone monks and stop the sacrificial ceremonies before it’s too late! Explore the town that has been defeated by evil powers and get help from the unlikeliest “people” in town. • WHAT KNOWLEDGE DO THE STONE MONKS HOLD? 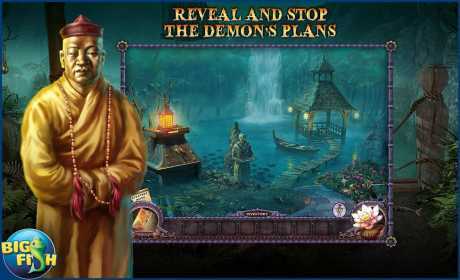 Collect useful items by searching through engaging hidden object scenes. Careful, some may be helpful, others may not. 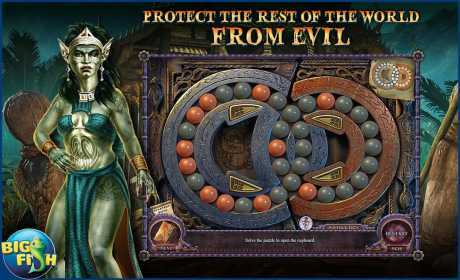 Play various innovative puzzles and challenging mini-games and get closer to saving mankind from a dark and malicious future. Help rescue additional prisoners in the bonus game and enjoy additional Collector’s Edition exclusives including an integrated strategy guide.